Can a Comprehensive Communication Strategy Increase Member Loyalty? What is the relationship between the different types of gym member communication (face-to-face, email, SMS etc.) and loyalty (as measured by Net Promoter Score®)? 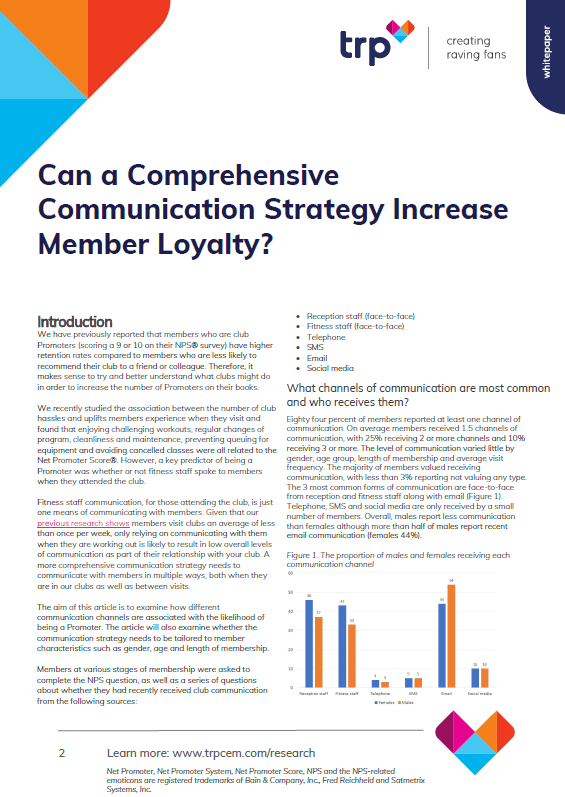 Which combinations of communication channels maximise loyalty in specific member groups? Can effective communication overcome the impact on loyalty of a negative club experience?